The "Payment in advance" plugin provides the "prepayment" method. In the checkout process, the customer is informed of the exact procedure and the bank details of the shop owner are displayed. User roles can be used to determine who is offered this payment method. The screens in the administration area as well as in the checkout process support different languages. The basic package includes English, German and Italian. The language management included in NopCommerce makes it very easy to add additional languages. The plugin is currently available for the shop software NopCommerce versions 3.80 and 3.90. 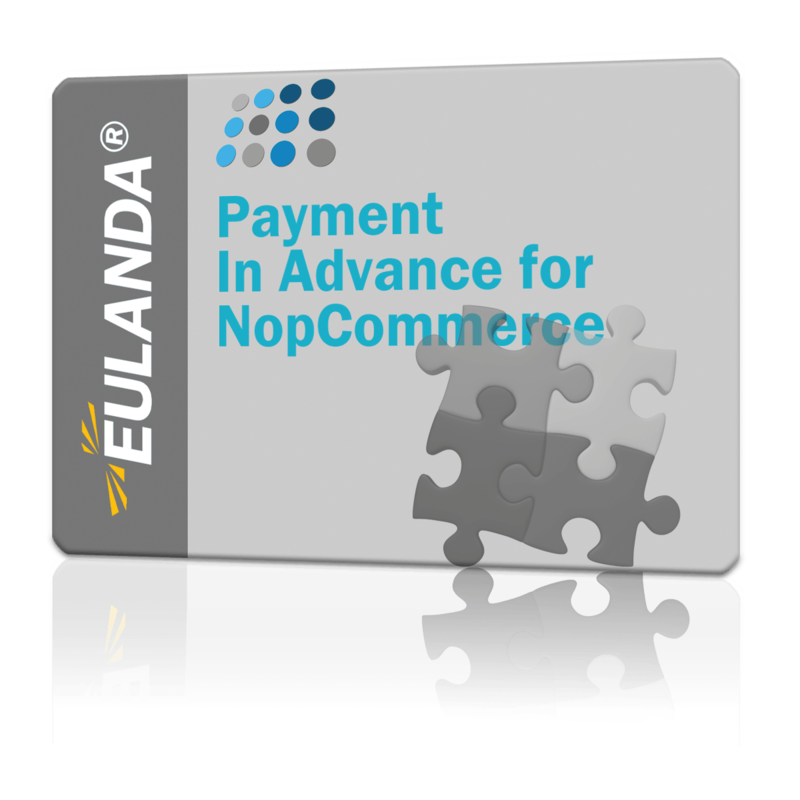 This module is also supported by the shop interface 3.x, so that prepayments can be automatically taken over by the ERP EULANDA. Like any other NopCommerce plugin, the installation is done via the administration interface of the shop system. The plugin file must first be copied to the "Plugins" folder on the web server. Further information can be found in the documentation.